Halloween 2011 at Blackwell Plastics saw quite a few people coming out from Pirates to Chefs and even Batman! Great fun was had by all as we celebrated Halloween including some great award winning Bar-B-Que and pumpkins carved up for the holiday! 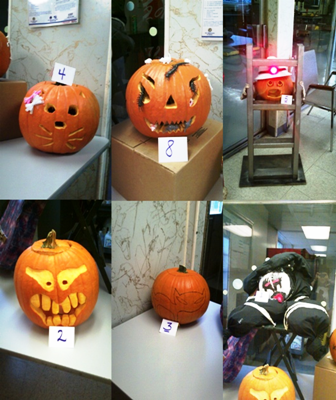 Thanks to all who took the time to dress up or make a pumpkin and Congratulations to all who participated in our contests – GREAT JOB TO EACH AND EVERYONE on their pumpkins and costumes.